"Bringing the face of God through service and lifting those who are faceless"
Our vision is to advance the Asian American community’s participation, contribution, and influence through faith-based and community partnerships. KCCD/FACE serves as a light and bridge between the Asian American community and the greater community at large by connecting and creating private and public collaboration, maximizing the capacities of faith-based organizations and other community non-profits, increasing access to resources and funds, and assisting low-income individuals and revitalizing neighborhoods. 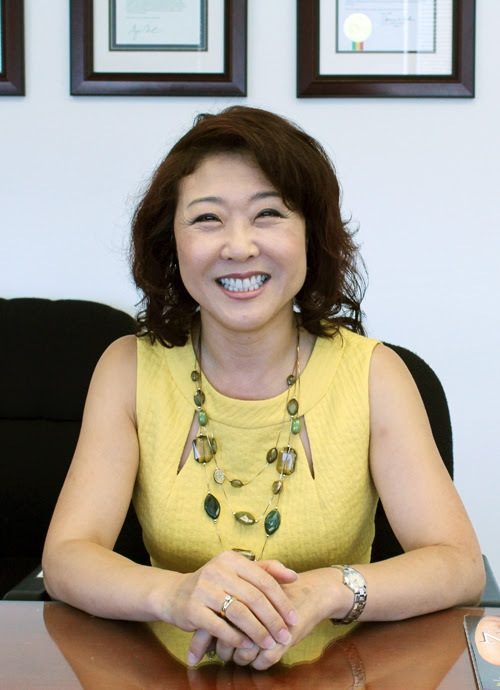 Recently on September 15, 2014, Hyepin Im, KCCD President and CEO, was interviewed by Christianity Daily. In the interview, she shares how she established KCCD, to how KCCD has worked to build bridges between the Korean/Asian American community and the greater community, and also her calling as a Christian to work in the intersection of church and community development and to help the church community be a light of the world. Please see the entire interview below or you can click here to view. Hyepin Im is the President, CEO, and Founder of Korean Churches for Community Development (KCCD), a non-profit organization whose aim is to help churches by connecting them to resources and partners that could help them to create a bigger impact and positive influence in their communities. Im is passionate about creating a platform for Asian Americans, and the Korean American church in particular, on which the good works they do for the community are able to shine, so that churches' influence and contribution to their respective communities are recognized, appreciated, and thus, churches can become active stakeholders and decision makers in communities. "There are thousands of churches in Los Angeles alone, but if one of them were to shut down, would any members or leaders of that community know?" she posed. "Would any of them feel that the loss of that church was indeed a loss to the community?" Im pointed to Matthew 5:16, which reads, "In the same way, let your light shine before others, that they may see your good deeds and glorify your Father in heaven." "Korean churches are very good at doing good deeds and serving others, but I think that they often forget an important part - letting those good deeds be seen by others. The people around them can't glorify the Father for what they've been doing if their works are not recognized by the community," she explained. Her journey in connecting churches with the community started when she herself lived as a daughter of ministers, and saw that her parents lacked resources to help their congregation in practical ways. Members of their congregation, as immigrants to the U.S., had urgent needs of employment, housing, and others, but the most her parents could do was connect them with the few people they knew. These limited resources left Im wondering, "There must be a better way." Im's perspective on the churches' role in community work was radically changed and expanded when she was able to do venture capital work under Reverend Mark Whitlock from First African Methodist Episcopal Church (FAME). This church also strived to provide for the practical needs of their congregation, but in a completely different way from her own church. "They had a separate non-profit, a set structure and system through which they were able to help people get assimilated into society," Im explained. "The greater community recognized, appreciated, and welcomed this church's presence, and in that way, this church was making an impact on the community." "They were looked upon as being leaders and stakeholders, so that when community leaders were making important decisions, their input was asked for." Im believes that this is the influence that the church should have in the community. "In every church and in every individual, there are specific gifts and talents that God has placed within us. We were meant for good works and to glorify Him through those works," she said. "When God-given talents are known and recognized, it not only blesses the individual, but it blesses other people who get to partake in the benefit of those talents." She continued saying that the Korean American churches all over the nation are doing much to benefit their communities, including community service activities such as cleaning up trash in their neighborhoods and doing ministry with the homeless. "Most Korean churches don't have to do more - they are already doing a lot to benefit their communities. But I think what they can do is simply tweak the way they reach out to the community by talking to community leaders directly about what might be some community needs, or letting them know about the community service events that they're holding," she said. "In that way, the leaders recognize and appreciate the presence of these specific churches and the way they help the community, and these leaders are able to connect churches with specific resources in order to help them to contribute to the community even more effectively." And when the churches' contributions to the community are recognized, their voice will be heard by the communities' leaders, allowing them to be influential in making decisions for the community, Im emphasized. "We need Esthers who can accurately represent our community and be the voice for the churches and for the Korean Americans," she said. And that can only be done as leaders increasingly acknowledge the role and presence of the Korean Americans in the community. "The church can't be an influential figure in the community if we're not invited to the decision-making table." This is the source of Im's deep passion behind the work of KCCD. KCCD aims to be the platform through which churches can be connected to those leaders, non-profits, and resources for churches to be able to contribute to their communities effectively and on a greater scale. KCCD aims not only to be the voice for the Korean American churches in the political sphere, but also be the bridge by which churches can also speak up to community leaders. KCCD, which was founded in 2001, has been actively striving to take on such a role by providing various services for the church and the community, including homebuyer education, healthy marriage education, financial literacy, small business training, foreclosure prevention, workforce training, to name a few. Currently, KCCD stands as the main organization by which the Korean churches' voice is represented in the political sphere. Im described that in most of the political functions she has attended, there were no other Asian Americans to be seen, and that only recently she saw another Asian American, Eugene Cho, at the past few annual Easter Breakfast Prayer meetings at the White House. In order to continue this legacy and to create an even greater representation of Asian American Christians in the political sphere in the future, KCCD has also been investing in the younger generation by inviting them to events such as the National Lighting the Community Summit in Washington, D.C. This past May, 16 young adults went to the White House with other Asian American leaders for the Summit, during which they were able to advocate for issues such as mental health and at-risk youth; human trafficking; My Brother's Keeper, a federal initiative meant to empower young men of color; immigration reform; and affirmative action. "Everything is political, and the sooner that young people realize that, they can have that much of a greater and more significant impact on the community," Im said. Thank you for sharing your testimonies and convictions with me - they were enlightening and eye-opening, and I pray that God will speak to those who read the interview article, that they also may be a greater light in their communities for His glory. KCCD Signs MOU with CGNTV to collaborate in advancing church leadership, community leadership, and partnerships. CGNTV airs in over 170 countries in 12 different language groups worldwide. First Lighting the Community Conference in Washington, D.C.
Our team is diverse and passionate about the change we envision. Want to join the family? Check out our available part-time positions.